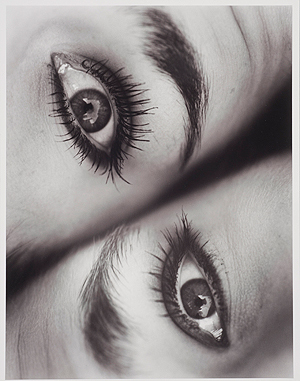 David Teplica, Acosta Twins, 1996, gelatin silver print. Gift of Neil Teplica, 2010.6. © David Teplica MD, MFA. A portrait has the capacity to communicate information about the identity, personality, and biography of its subject. If a subject seems unaware of or disinterested in his or her portrayal, does that limit our ability to identify or connect with a portrait? Eye Contact poses questions about the importance of the gaze in portraiture and considers how eye contact between artist and subject, or viewer and subject, plays a crucial role in conveying biographical or psychological information about the individual. This exhibition features photographs from collection of the Block Museum by Andy Warhol, photojournalist W. Eugene Smith, and Robert Mapplethorpe. This exhibition is curated by Block Undergraduate Fellow Sophie Jenkins (WCAS '13). Support is provided by Ellen Philips Katz and Howard C. Katz Endowment and Norton S. Walbridge Fund.